At the start of the school term, students of the Anglican High School received a special surprise as they returned to a newly refurbished Food & Nutrition Laboratory. 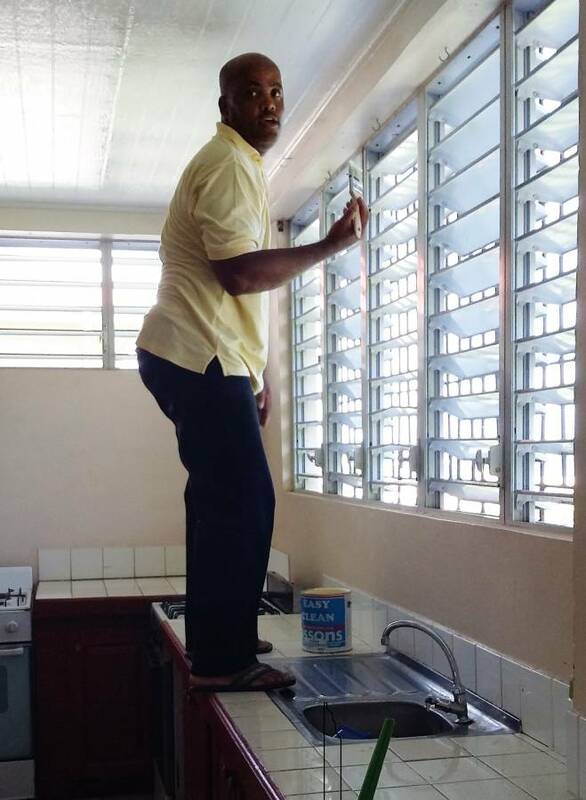 Over the holidays, employees of CIBC FirstCaribbean and their families repainted the lab and arranged for the repair of broken cupboards and other fixtures within the facility. 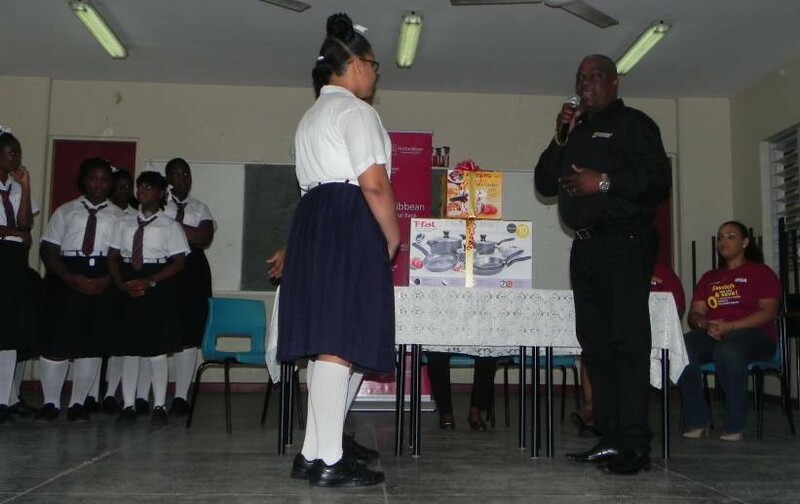 Employees also surprised staff and students by attending the school’s general assembly and presenting a selection of new culinary utensils to the school. The project, which cost just over EC$3,000.00, was funded through the bank’s Adopt-a-Cause Programme. The programme is spearheaded by the bank’s staff and allows them to identify deserving projects in the community, towards which they can make both a financial and personal contribution. Geoffrey Gabriel, Credit Manager, expressed the bank’s delight at being able to undertake the project. 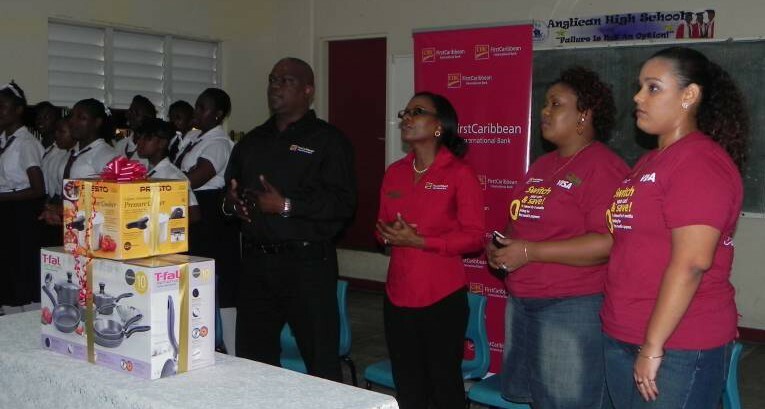 “At CIBC FirstCaribbean, we place special emphasis on education and in particular the youth. Our team was very excited and committed to completing the project in time for the reopening of school, so that students can commence the term without interruption” he said. “The team selected this project in particular as hospitality and culinary arts are becoming increasingly popular fields in which to build rewarding careers. In doing so, we trust that our contribution will provide a more comfortable learning environment for the students. Through our Adopt-a-Cause programme, the bank’s staff play an integral and more active role in the communities in which they live” he added. As early as the second week of the school term, students will begin School Based Assessments and they expressed excitement at having a newly refurbished environment and equipment to work with. CIBC FirstCaribbean remains committed to building stronger communities through its Adopt-a-Cause initiative and other programmes such as its annual cancer awareness ‘Walk for the Cure’ – an annual fund-raising and cancer awareness initiative.